This client wanted to open up this kitchen as well as freshen it up. 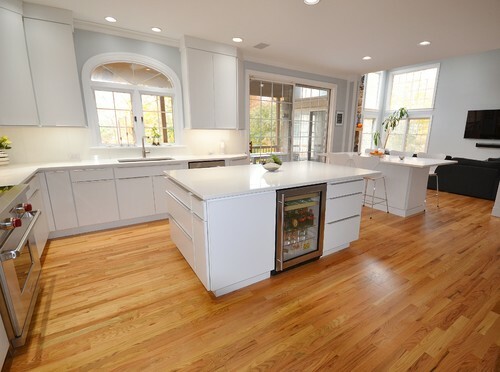 We designed the new space and cabinetry along with the clients and their contractor Jack Gardner ( Third Generation Contractors ). 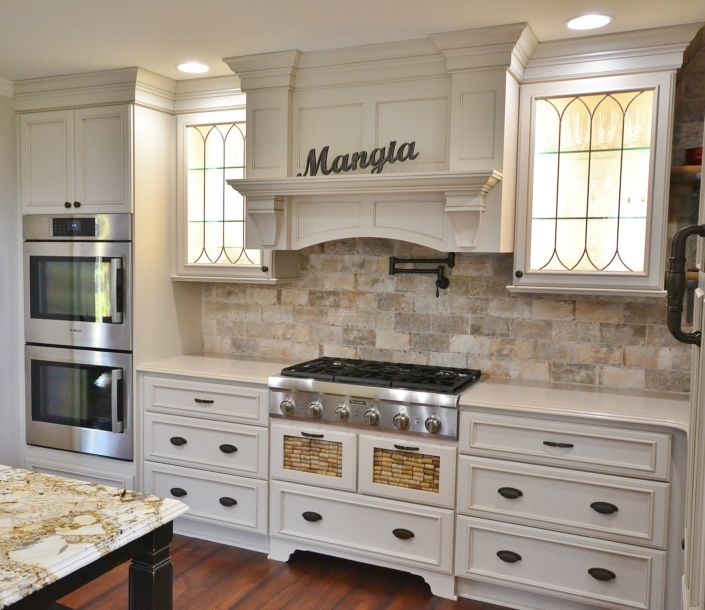 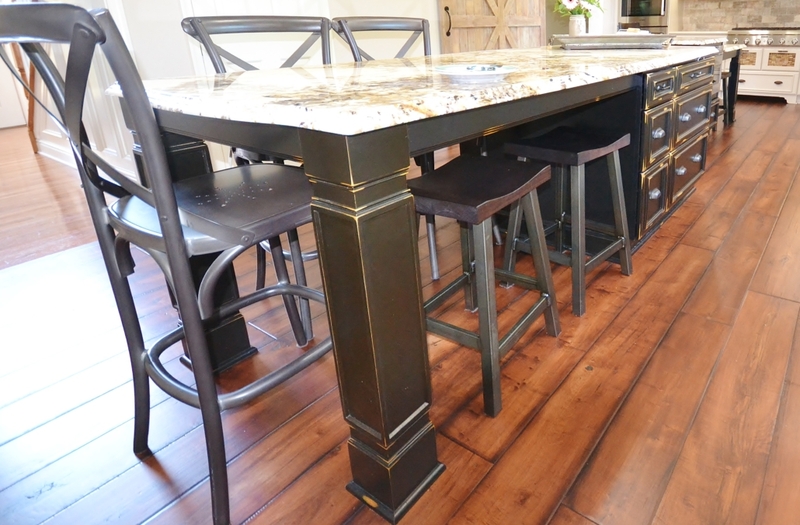 Fieldstone cabinetry was chosen for their great quality along with their great finish options. 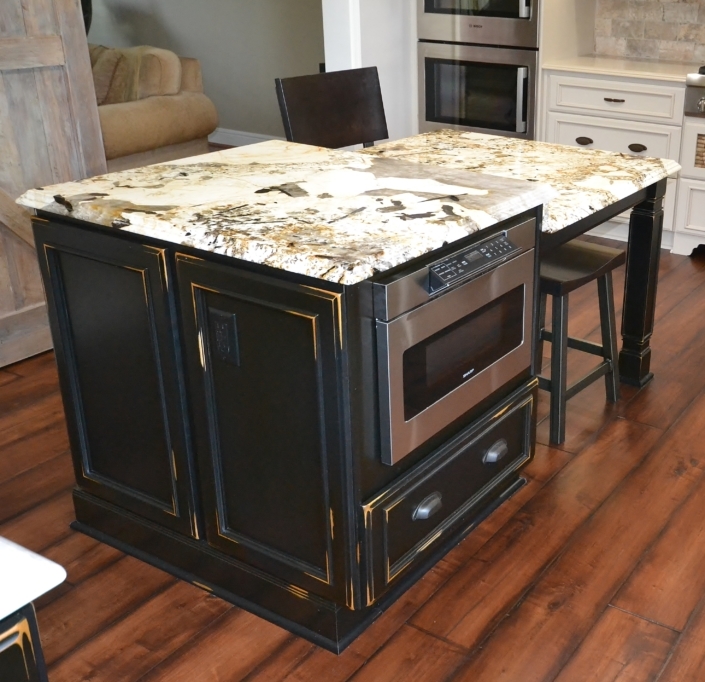 The perimeter cabinetry is in a Shale painted finish and the island is Rustic Alder with Slate stain. 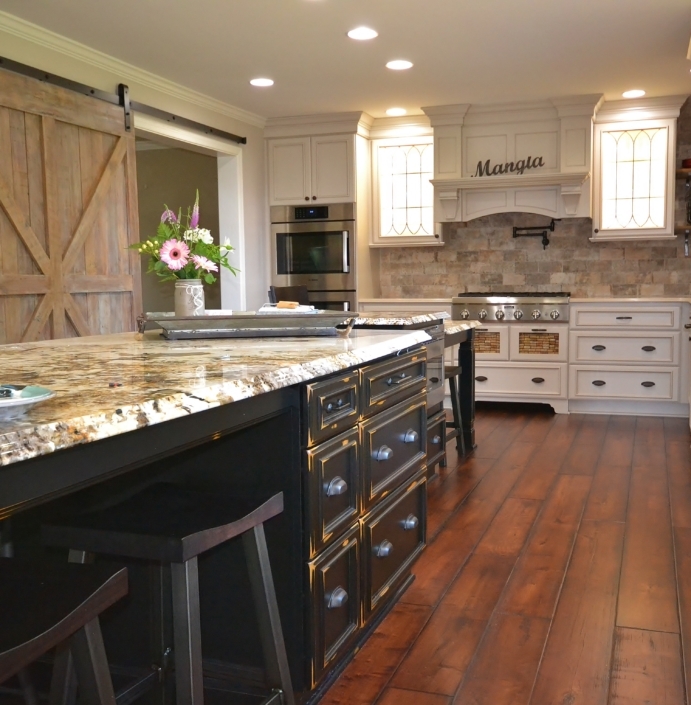 These cabinetry colors along with the Fantasy Brown granite countertops look perfect with the homes other rustic wood tones. 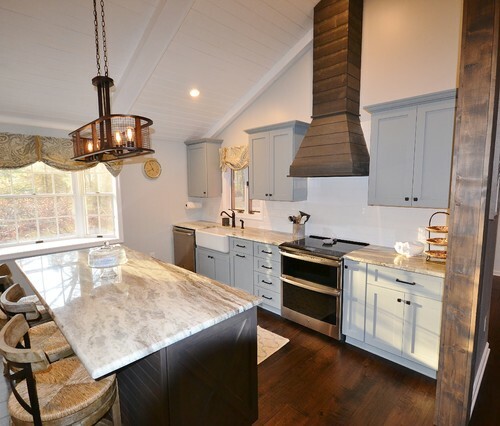 What a great new space with beautiful cabinetry and skilled carpentry work throughout.